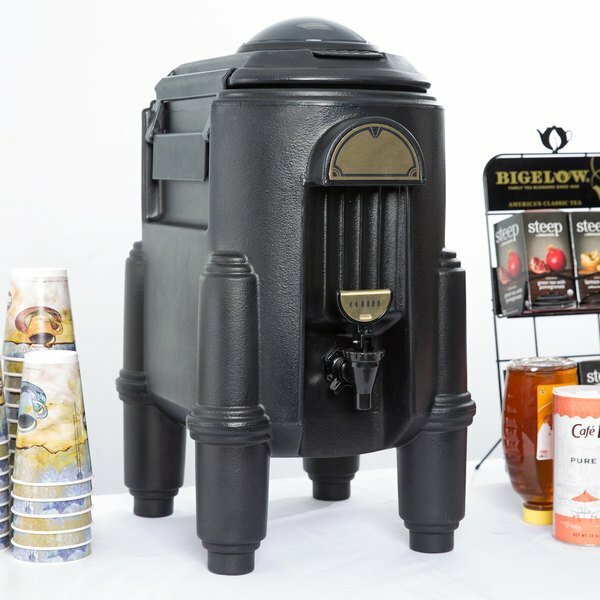 For front-of-the house hot beverage service, keep your drinks hot and flavorful with this Cambro CSR3110 black 3 gallon Camserver insulated beverage server. 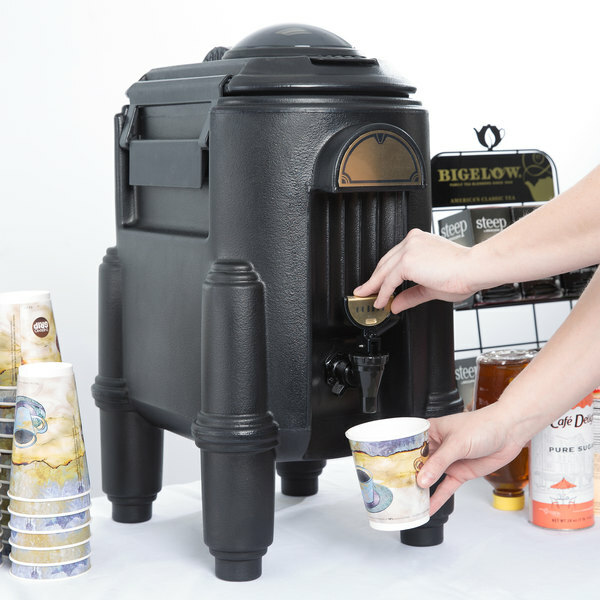 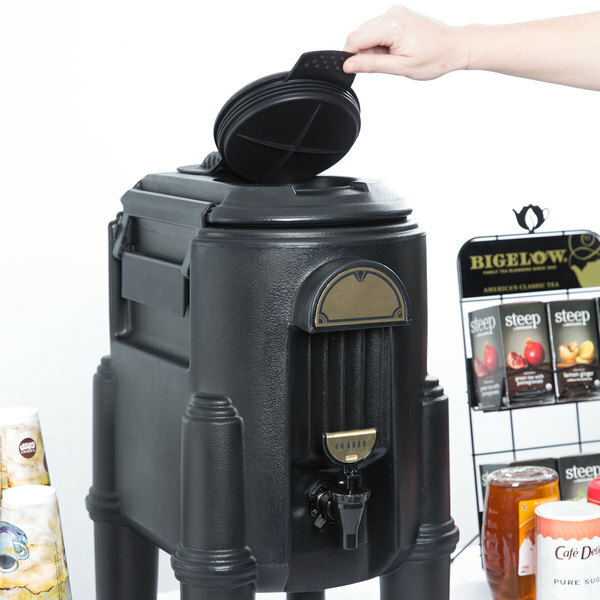 It features a high spigot which allows ample room for filling large cups or coffee pots. 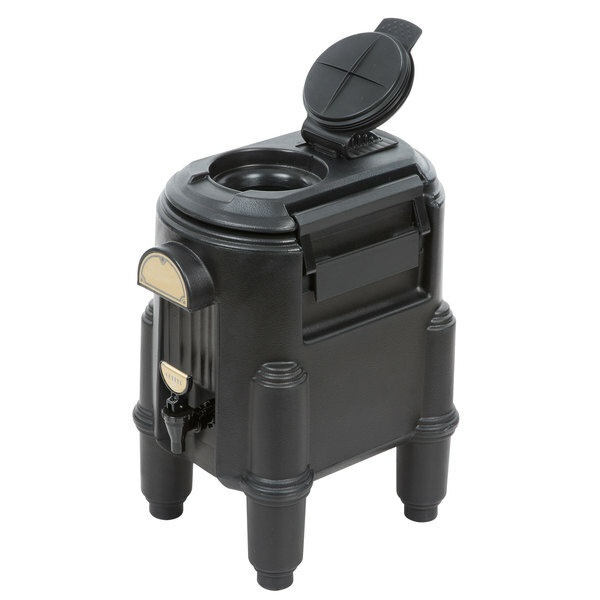 A convenient refill cap, funnel opening, and self-aligning lid combine to provide easy refilling. 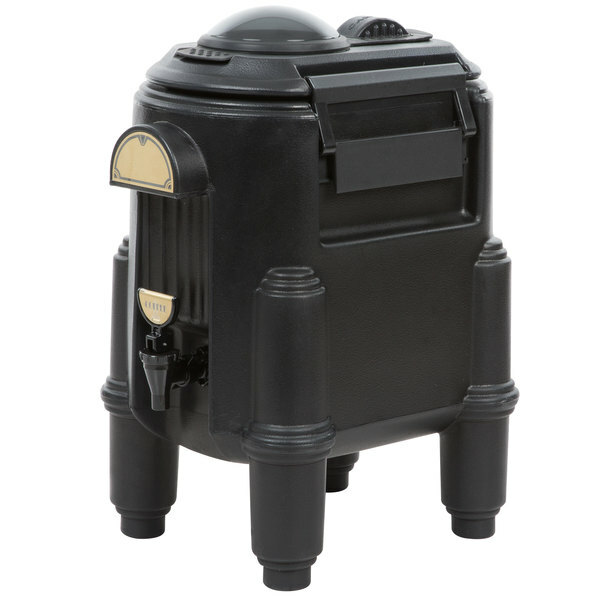 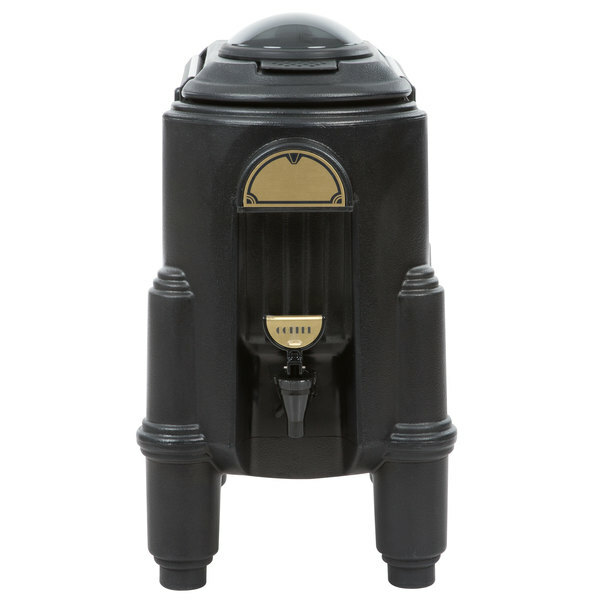 This Cambro CSR3110 3 gallon Camserver beverage dispenser is made of a durable polyethylene material that resists dings and dents that may occur through normal use.